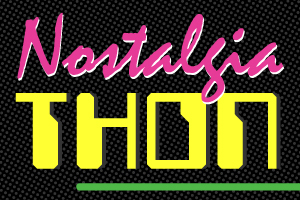 Nostalgiathon 2012: The Goonies edition! 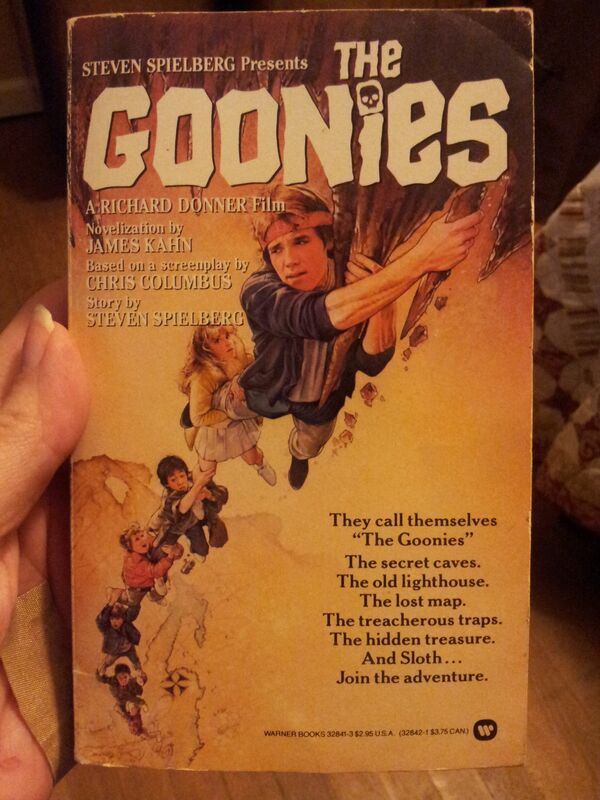 In keeping with Misty’s post and Andy’s post, I thought I would take a few moments to revisit one of my all-time favorite movies from my childhood: The Goonies! This does not mean it was the top of my list, but I don’t recall how many other movies I watched so much that I also owned the book. Sadly (or awesomely) the photos of the book I am using here are from the SECOND copy I received from my mother back in 2003, because my first copy had been read so many times, the cover was long gone and the spine cracked so badly that the book actually was in two pieces and missing most of the photo pages from the middle. From the start this story appealed to me in SO many ways. The underdogs going on a great adventure with pirates and treasure maps and skeletons and killers and monsters that like Baby Ruths and weren’t really monsters and Sean Astin being so freaking adorable. Really, there was no way this could be anything but awesome. So you have a ragtag bunch of kids who are looking at being shoved out of their neighborhood to make way for the country club golf course. Mikey is the protagonist here, along with his close friends Mouth (Corey “no the OTHER Corey” Feldman), Chunk (Jeff “Truffle Shuffle” Cohen), and Data (Jonathan “Short Round” Ke Quan). Mikey’s older brother Brand (Josh “even hotter when I got older” Brolin), Andy (Kerri “I’m a redhead but they made me kind of blonde in this one” Green) the popular cheerleader, and Stef (Martha “always the go-to actress for the gangly, slightly surly sidekick” Plimpton), Andy’s friend round out the rest of the kids on this adventure. Look closely enough and you’ll see Robert “oh THAT guy” Davi, Joe “oh that OTHER guy” Pantoliano, and Anne “evil grandmother figure” Ramsey. This cast could not be beat. As a side note, one of the reasons I liked about the book over the movie was the extra scenes they didn’t have time to fit in the movie. For instance, did you know there was an octopus in the water around the pirate ship? How an octopus of that size would survive in a fairly cut off cavern is obviously puzzling, but WHO CARES!?! IT’S A GIANT OCTOPUS! So yeah, this movie had everything when I was 11 years old – great cast, fantastic story, excitement, adventure, love, comedy, drama, bad guys, good guys and everything in between. And Cyndi Lauper providing the theme song. What more could you possibly want? 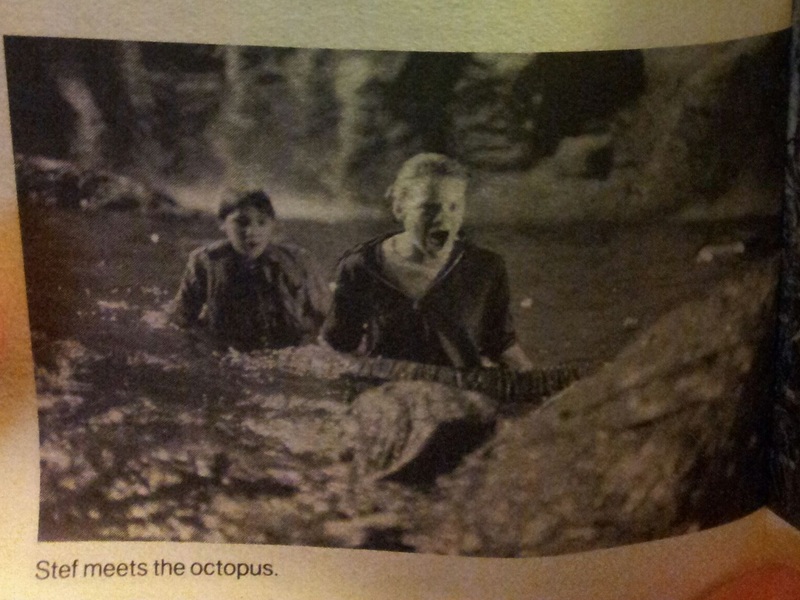 I give this a 5 out of 5 Octopii (since the poor thing had his scene cut and all, seems fair to me). Posted on November 13, 2012, in Film, Random, Reviews and tagged entertainment, hollywood, Josh Brolin, Sean Astin, The Goonies. Bookmark the permalink. 12 Comments. I would totally love to read the Krull novelization. I can’t even imagine how awesome/horrible it is. 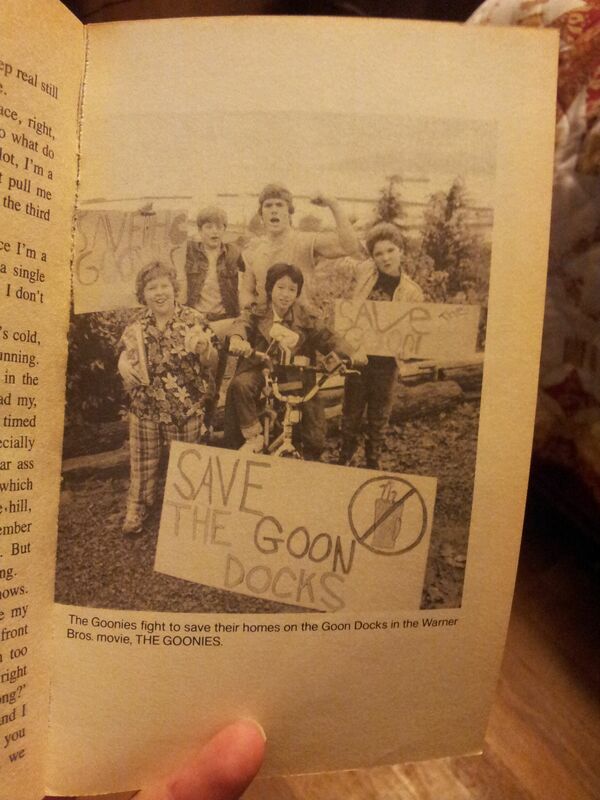 Honestly, the Goonies novelization was pretty well written and filled in a LOT more of the story (and Mikey’s inner dialogue, which made me laugh out loud at times), I would tend to lean towards awesome rather than horrible. 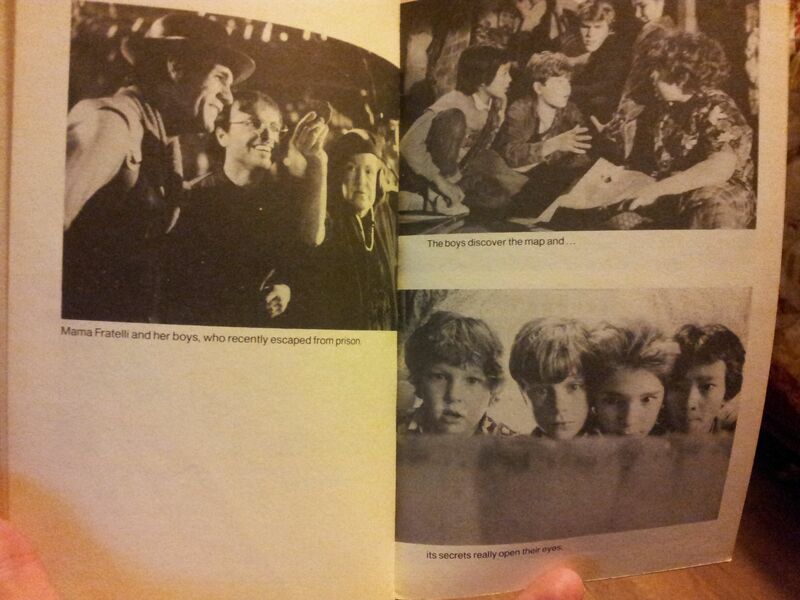 It’s been brought to my attention that The Goonies book I have is listed for almost $260 on Amazon. What the WHAT? Whoa! Not surprising but WOW!